Who doesn't like Harry Potter? I've been sitting here for the last hour - trying to think of anyone I know that doesn't like Harry Potter. I have tickets booked with friends to go to Harry Potter Studios in May and I am very excited about that!! I haven't done a tag post in ages so I thought I'd do an oldie - the Harry Potter tag! Harry Potter & the Deathly Hallows - very long but such a good book! Harry Potter and the Order of the Phoenix - I just found it bland. Harry Potter and the Philosopher's Stone - I loved Fluffy, the chess game, Hermione's genius and they all still looked so young! 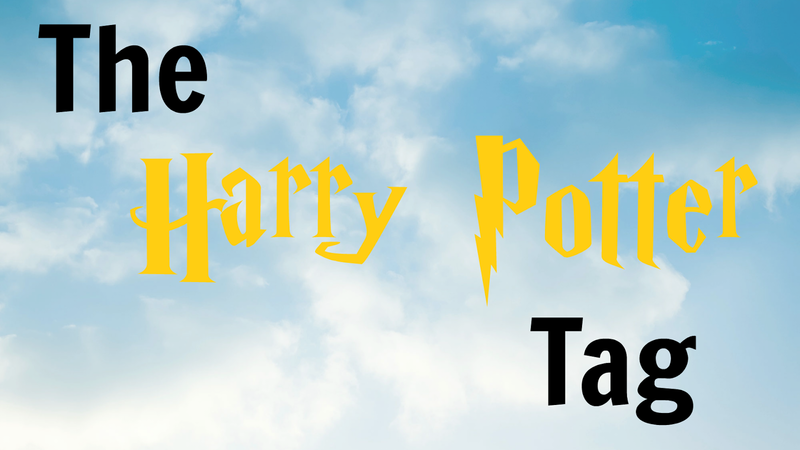 Harry Potter and the Prisoner of Azkaban - I just thought that the time travel part was odd and not explained well enough. Fred or George - funny, happy and crazy twins! Without a doubt - Hermione! Such a loving, caring and smart character! I thought Lucian Malfoy was funny, not the evil kind of villain but the stupid, funny kind. If I had to choose an evil villain then definetely Bellatrix Lestrange. I really enjoyed Ron - he was such a great character! In the book and the film - Professor McGonagall - she was such a great character and I love Maggie Smith (the actress) in anything! I also loved Professor Trelawney in the films. Would you rather a) wash Snape's hair or b) spend a day listening to Lockhart rant about himself? Snape - washing hair is a 10 minute max job. If I spent a day with Lockhart I'd probably kill myself. I'd love to try both. I'm sure going on the Hogwarts Express would be great but after 2 or 3 years it might get boring, so going by a different method might be cool and a flying car seems like a great idea! Would you rather a) kiss Voldermort or b) give Umbridge a bubble bath? Probably give Umbridge a bubble bath! Voldermort scares me! A Hippogriff as they look like amazing creatures! Is there a character you felt differently about in the movie? Is there a movie you preferred to the book? Your top thing (person or event) that wasn't in the movie that you wanted there the most? None - I thought they each have their own bad and good parts but I wouldn't change any of them. Which house was your first gut feeling you'd be part of? Which character do you think you'd instantly become friends with? Hermione - I love studying and I am a bit of a book worm too! If you could own of the three Hallows, which would it be? Is there any aspect of the books you'd want to change? Hallows - Horcurxes are dark!! That's all the questions and this tag is over! I am very, very, very excited about my Harry Potter trip in May! Let me know if you have been/are going at all this year! ?